Throughout the 2018-19 school year, Milton Hershey School seniors have committed to their health and wellness by challenging themselves to try new fitness activities and define what a healthy lifestyle means to them as individuals. Within the school’s Transitional Living program, MHS seniors have gained independence and taken control of their health and wellness. With the support of staff, students have learned about nutrition, cooked healthy meals, exercised at local gyms, and trained for the Hershey Half Marathon. 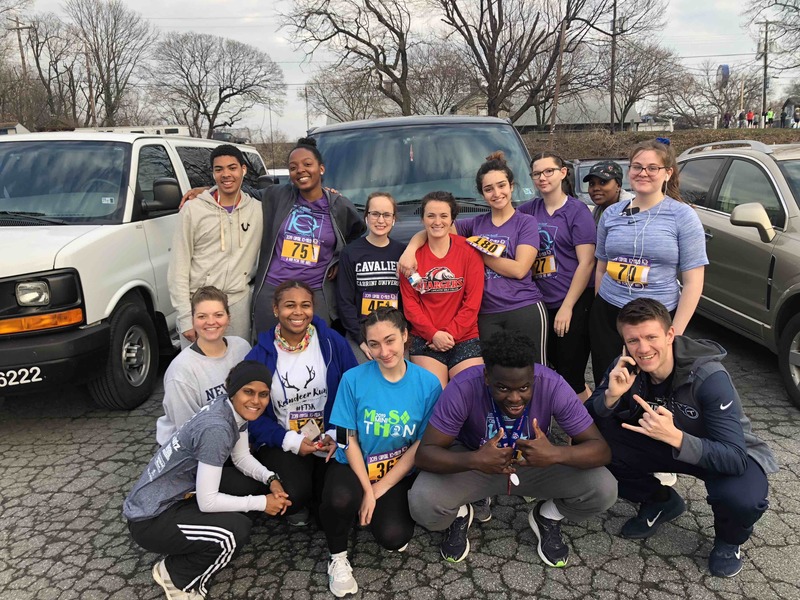 “These students pushed the limits of what they thought they were capable of, and they took ownership and pride in moving toward a healthy lifestyle,” said Brittney Cross, a Transitional Living coordinator at MHS. More than 20 seniors participate in a running club where they work with staff members to train for the Hershey Half Marathon and two additional races throughout the school year. Regardless of their experience levels, students have embraced the challenge and supported each other during each half marathon. “[The running club] is open to all students regardless of their previous running experience as a way to expose them to something new,” Cross added. Milton Hershey School encourages students to embrace health and wellness and find ways to stay active throughout their daily routine. Learn more about health and wellness at MHS.